Are you waiting for RPSC RAS 2018 Notification????? 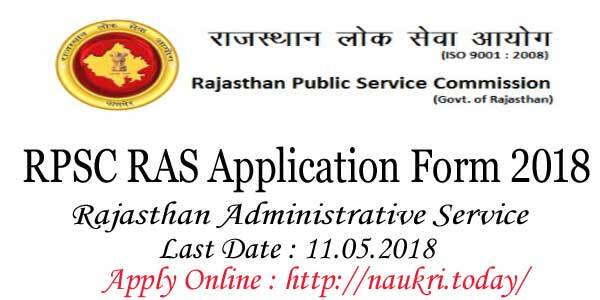 Are you want to apply for Rajasthan Administrative Service Recruitment 2018??? If yes then here is good news for you. 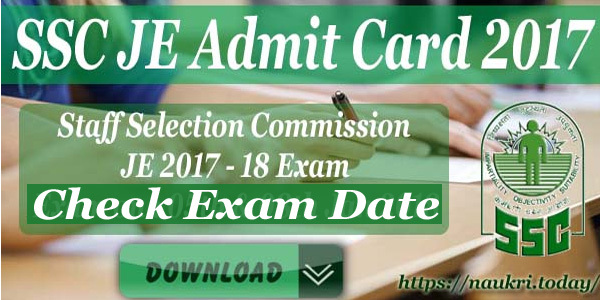 Rajasthan Public Service Commission is going to conduct RAS 2018 Examination. The exam will be going to organize for filling up 980 Rajasthan Administrative Service and RTS Vacancies. RPSC RAS Application Form 2018 starts at 12.04.2018. Applicants will be able to fill RAS Online Form till last date 11.05.2018. 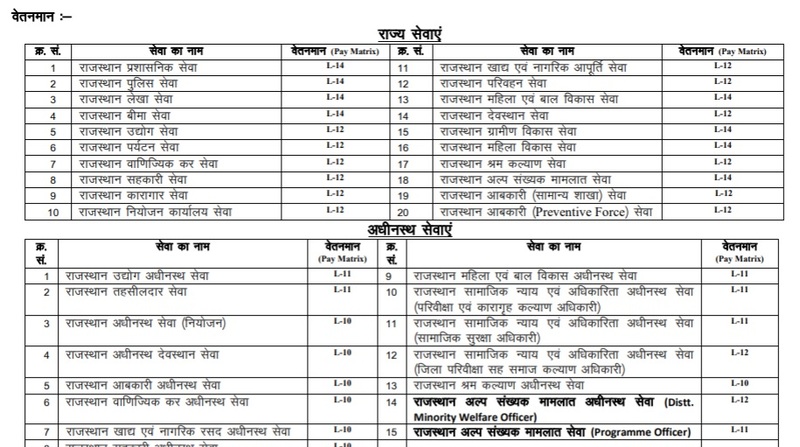 Furthermore, details of examination are mention in below section. Applicants should read given below article properly. Rajasthan Public Service Commission every year conducts RAS Examination and its stands for Rajasthan Administrative Service. The RPSC RAS Exam is organized to choose the better candidates for Rajasthan Administrative department. RPSC RAS Notification 2018, you can download from here or official website . This examination is conducted for Graduate or equivalent candidates. Rest details of RPSC RAS Online Form 2018 you can collect from here in below section. Fresh Update As on 12.04.2018 : Dear Applicants, Rajasthan Public Service Commission has already release notification regarding RPSC RAS Application Form 2018. The online registration is start from today. Candidates who are infterested to fill RAS 2018 Online Form can fill here through the link mention below. Infromation of RPSC RAS Notification 2018 collect from this article. Rajasthan Public Service Commission has also declared department wise post details. The total number of vacancies are 980 posts. Check below section for more details of RPSC RAS Vacancy 2018. Applicants who are interested for filling up RPSC RAS Online Form must ensure that they are eligible or not. Details of eligibility criteria like education qualification, age limit, and others are given below. Before applying all applicants should check RAS 2018 Eligibility. Qualification: Graduation Degree from a recognized university. Applicants must have Graduation Degree from recognized university. The degree should be incorporated by an act of the Central and State Legislature in India. Furthermore, information checks RPSC RAS Notification 2018. The age criteria is based on according to 01.01.2019. The minimum age require for Rajasthan Administration Service & RTS Exam 2018 is 21 years. Applicants who are going to apply for RPSC RAS Application Form 2018, should not be more than 40 years. Upper age relaxation is also applicable for reserved category candidates. First Preliminary examination conduct by RPSC for RAS 2018 Online Form. Then qualify candidates will be called for main examination. After that, both RAS Exam qualifies applicants will attend the Personal Interview. Furthermore, details of RPSC RAS Exam Pattern & Syllabus check official advertisement. Applicants who are interested and also eligible for filling up RPSC RAS Application Form 2018, require paying application fees. Candidates who are belonging to General Category need to pay Rs. 250/-, OBC Creamy Layer will pay Rs. 150/-. While SC/ST/PWD will have to pay Rs. 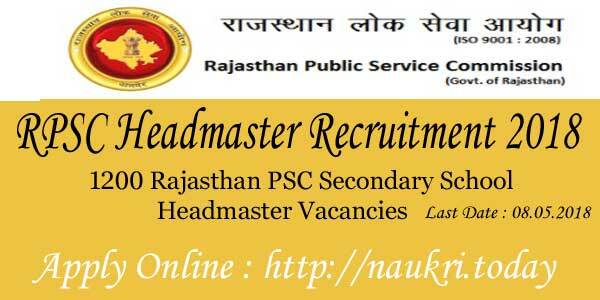 50/- for RPSC RAS Vacancy 2018. Fees will be paid through online mode. Furthermore, information checks RPSC RTS Notification 2018. Desired and deserving participants can fill RPSC RAS Online Form 2018. Before going to fill RTS Online Form applicants should have valid email id, scan photo & signature & other required documents. Applicants who are going to fill RAS 2018 Application Form also can follow given instructions. Download RAS/RTS Combined Competitive Exam 2018. Read it carefully because of all information available there. The log in to SSO portal i.e sso.rajasthan.gov.in. Then make payment of application fees their. Enter all require information on your RPSC RAS Application Form 2018. Submit RAS Online Form 2018 carefully. Conclusion : RPSC RAS Application Form 2018 is available here for candidates who are waiting for it. The RAS Online Form 2018 is starts at 12.04.2018. The last date of filling RTS/RAS Application Form is 11.05.2018. All details available on above article.